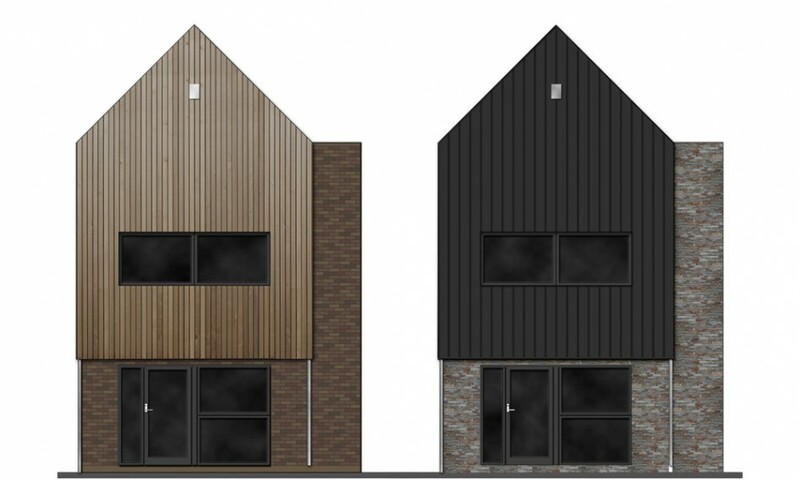 The “urban space” takes all the strong characteristics from our other designs, such as our familiar glazed elevation that would be at the rear to give an incredible aspect to a back garden and a subtle palette of very sustainable cladding materials. The upper pitched element can be clad in timber (larch or western red cedar), zinc, brick or lightweight rainscreen cladding panels, whilst the base can be clad in brick or stone. 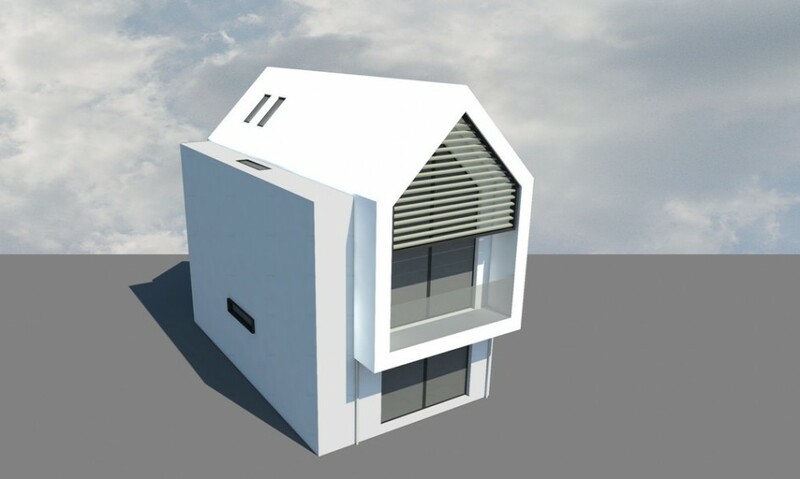 The roof can incorporate rooflights and optional integrated solar PV panels. In contrast to our other designs, this home sits far more comfortably in an urban context with a more private street elevation and a proper front door (so it can be terraced). 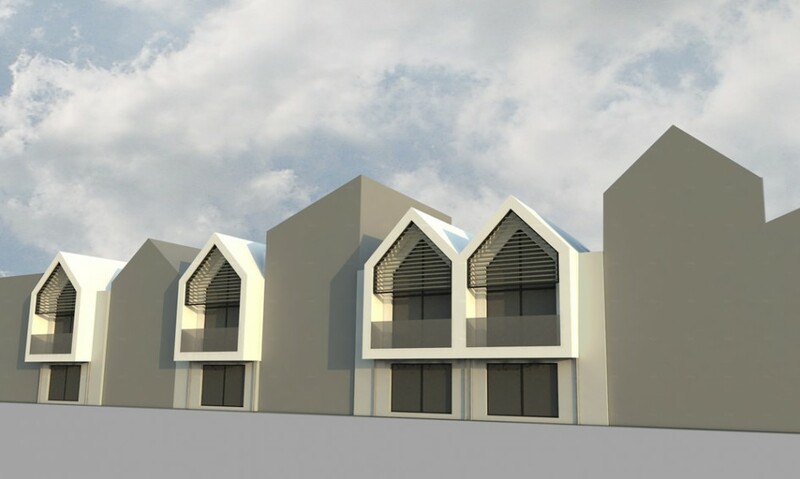 The carefully considered proportions and slight layering of materials allow the building to stand alone, be terraced or semi-detached. With the wide range of cladding options that can be selected, each dwelle.ing can have its own individual presence on the street whilst still maintaining a very strong visual unity amongst other home designs.